Last week we had a wonderful guest come and visit us: Barbora Pilátová, an 18-year-old student who came all the way from the Czech Republic. 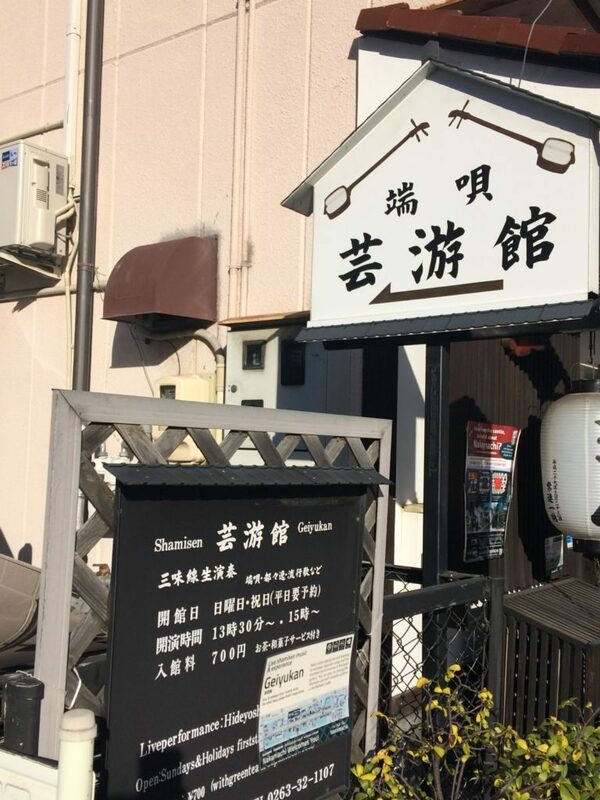 Barbora is currently spending a 10-day holiday in Niigata at her Japanese friend's home and last week, she decided to make a one day trip to Matsumoto to see the castle and to participate in Geiyukan's Shamisen Workshop! She was kind enough to let me join her at the workshop. 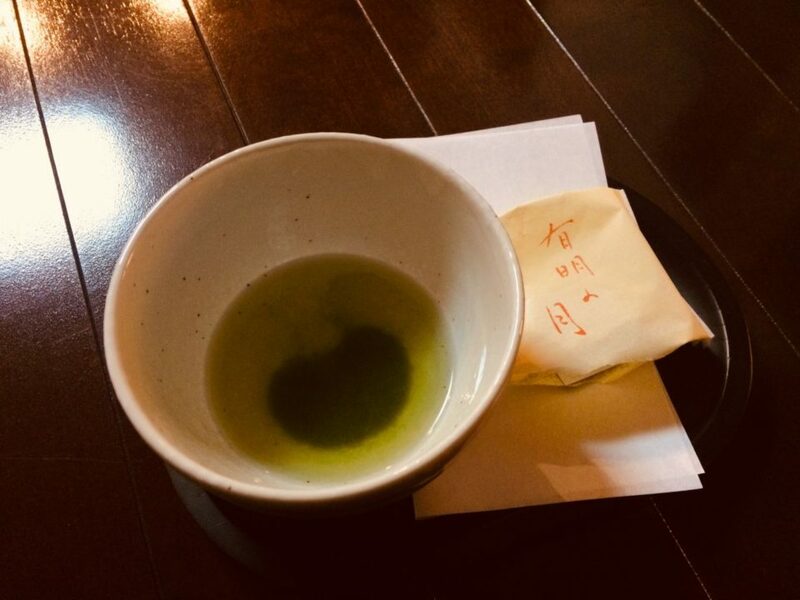 To start things off, we watched a nice shamisen performance by the teacher, Hideyoshiha, while enjoying green tea and Japanese sweets. 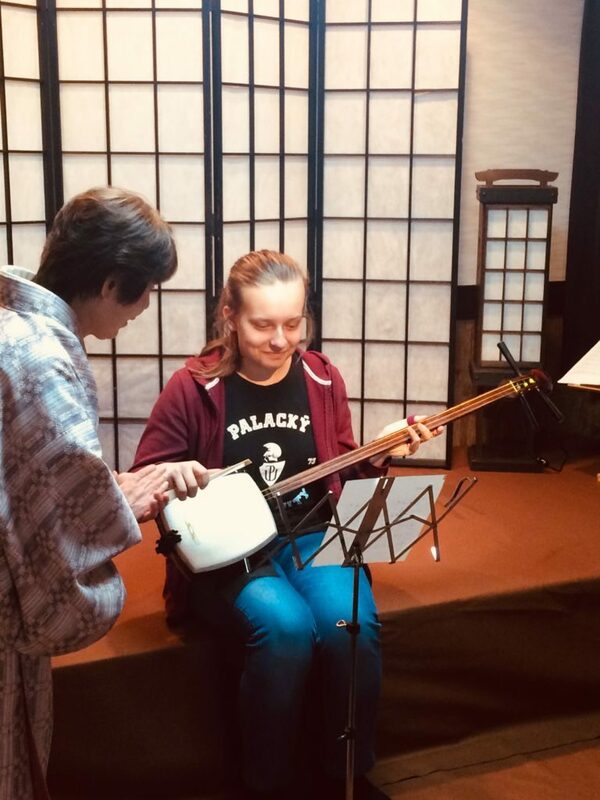 Next, Barbora got to try playing the shamisen herself! Hideyoshiha briefly explained the basics and then provided Barbora with the musical score for a Japanese song called "Sakura, Sakura." 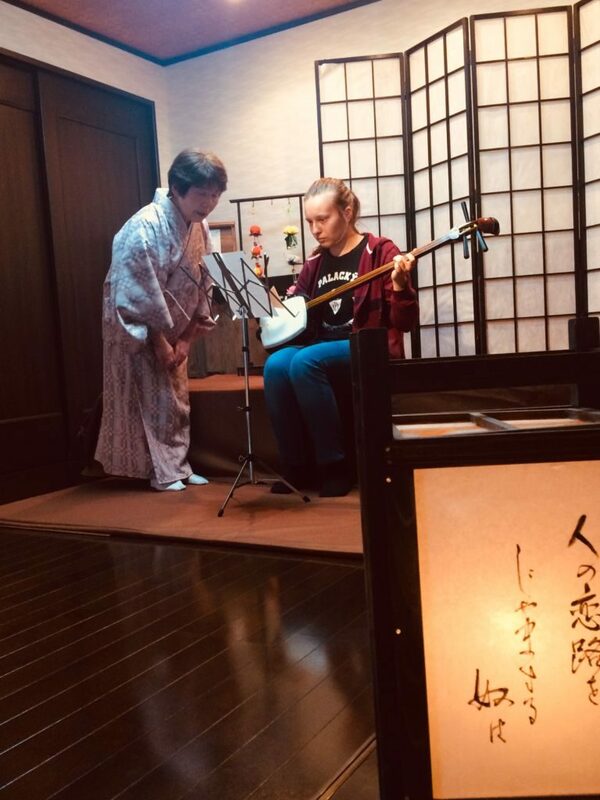 Slowly strumming the shamisen, Barbora played the whole song to the end. Hideyoshiha said Barbora was a fast learning and had a knack for the shamisen. 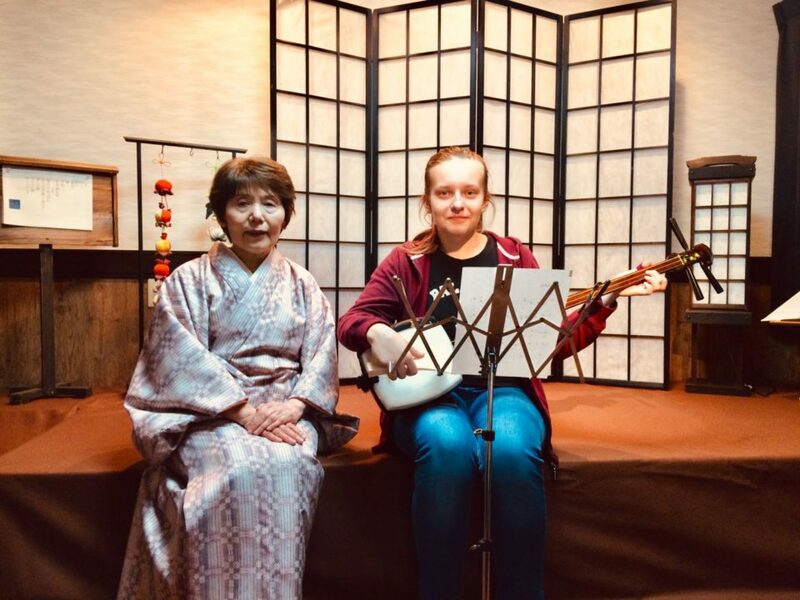 After correcting her use of the shamisen pick, Barbora tried the song a second time and was able to play much louder and clearer. After the third and fourth time, she could smoothly play through "Sakura, Sakura"! When I asked Barbora what she thought of the experience, she answered with an enthusiastic "Great!" 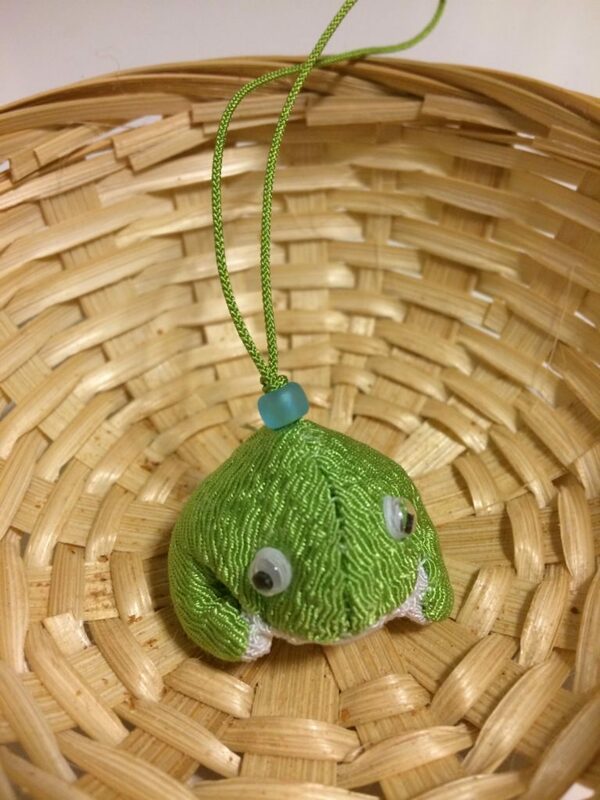 Lastly, she received a cute gift—a handmade frog charm made by Hideyoshiha's husband—and concluded the workshop. Then, it was back to Niigata for Barbora. Thank you Hideyoshiha for your wonderful performance! And to Barbora, we hope you come back to Matsumoto to visit again!